This is a powerful blade of the Hokke school of Bingo Provence. It is unsigned but that is usually the case. Blades of this school are for the most part o-suriage due to their great length that gave the mounted warrior a distinct advantage. It dates to the Nanbokucho era of the 1300’s. The Hokke school was an offshoot of the Bingo Mihara group that traced its roots to the Yamato tradition of the Kamakura era. 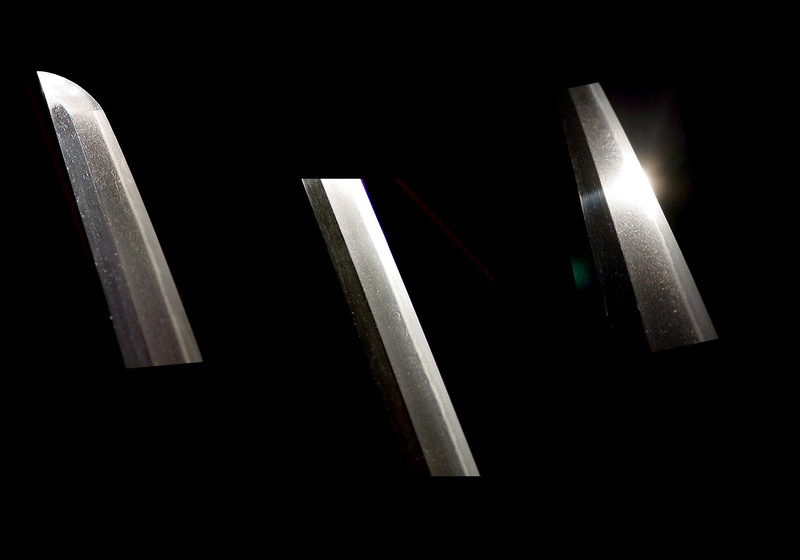 Yamato influences can be enjoyed in this blade also. Although it is o-suriage, it still is of a length that exudes strength and power. 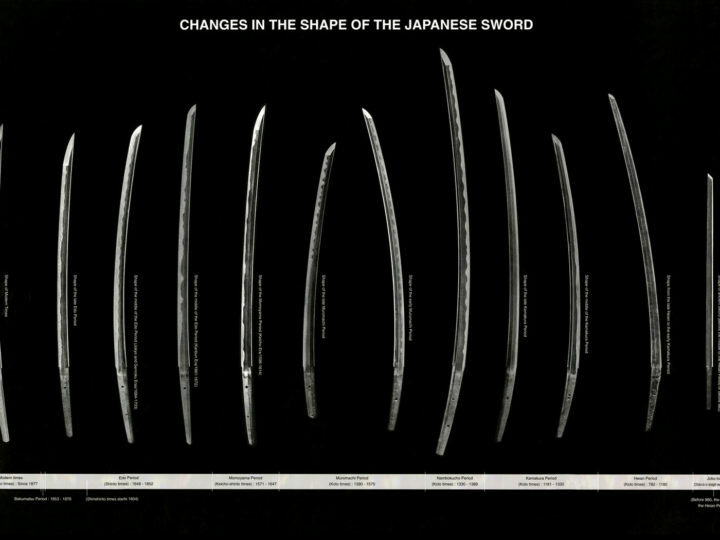 The cutting edge is two shaku, three sun, and five bu. This equates to 28 1/16 inches or 71.3 cm. 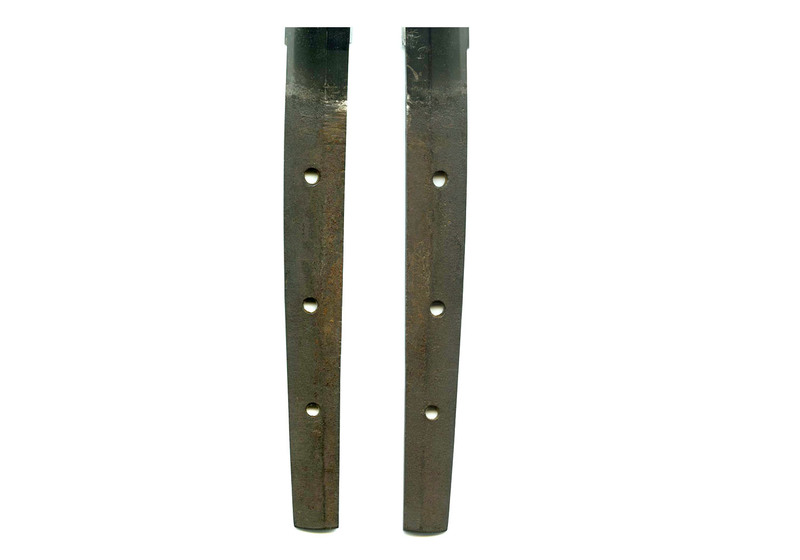 The moto-haba is 1.11 inches or 2.8 cm and the saki-haba is 0.74 inches or 1.9 cm. The sori is still graceful and beautiful even after it has been greatly shortened. 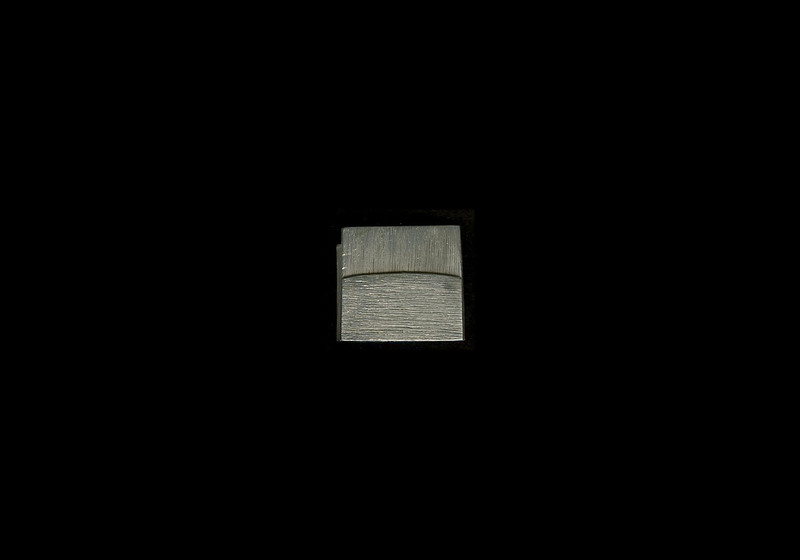 It is torii sori measuring 0.55 inches or 1.4 cm. The jigane is whitish and the hada is ko-mokume mixed with areas of o-hada. There is masame hada in the shinogi-ji. The hada is quite beautiful. 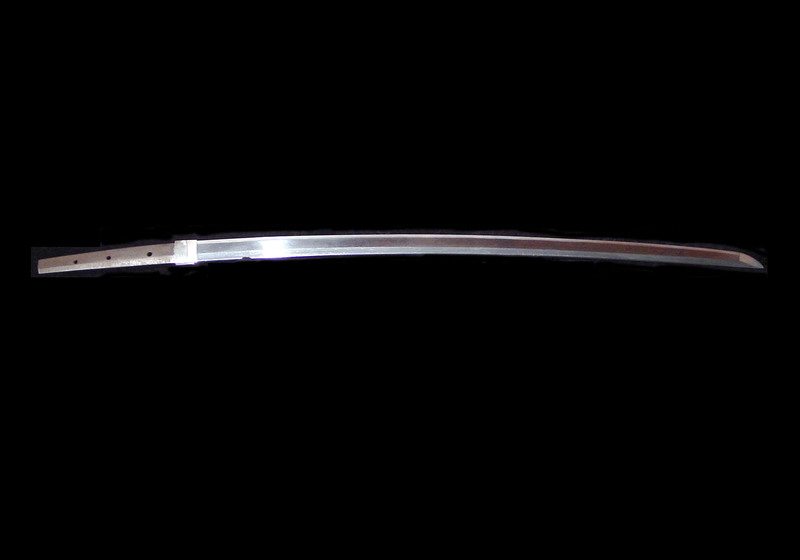 The hamon is suguha mixed with ko-gunome. The boshi is strong and well tempered. The blade is in excellent polish with no flaws or problems of any kind. 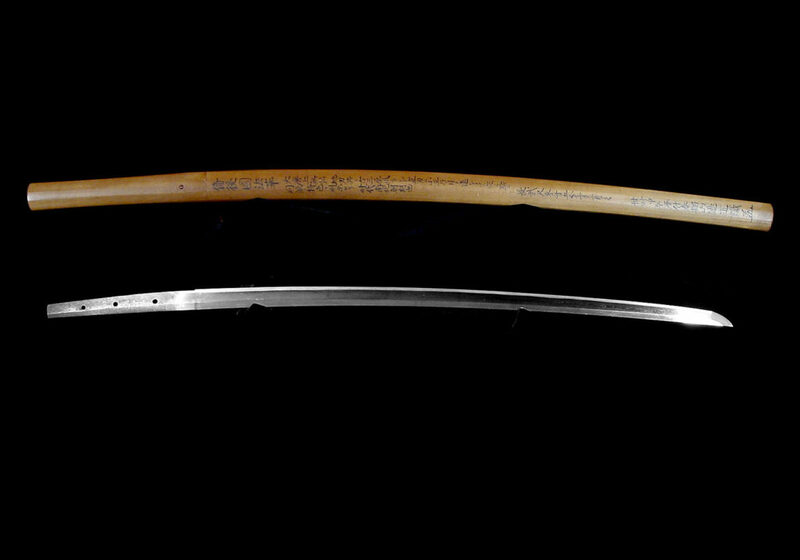 Katana Mumei attributed to Bingo Kuni Hokke. 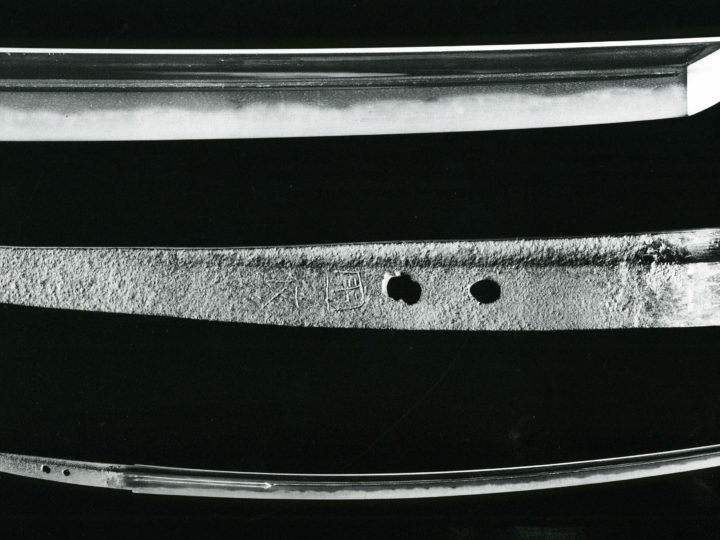 Blade is osuriage mumei with the jihada bearing strong resemblance to early Mihara work (Ko-Mihara) but it exhibits suguha and ko-gunome which is a feature of Hokke group. This is a work from the Nambokucho period. The length is 2 shaku 3 sun 5 bu. Sayagaki signed by Tanzan Hendo (pseudonym or art name of Tanobe Michihiro) in the year of the horse 2014. 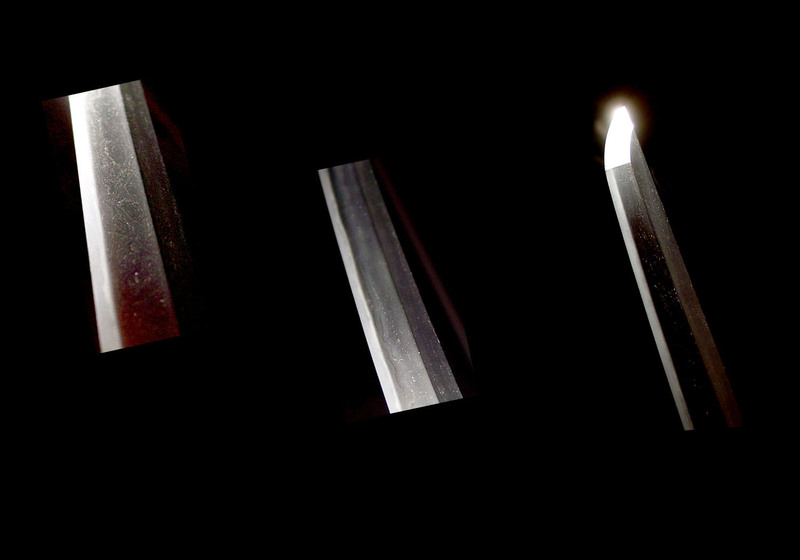 Bingo blades and swords of the various Bingo schools like this one were highly sought after during the time of its forging and later throughout the Sengoku jidai. 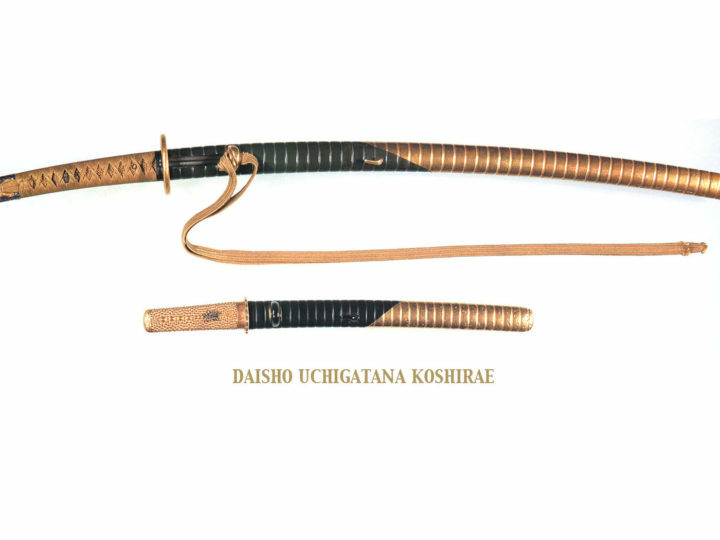 This was a period in Japanese history of constant warfare and blades such as this had a reputation as being of the best quality as far as cutting ability and durability were concerned. 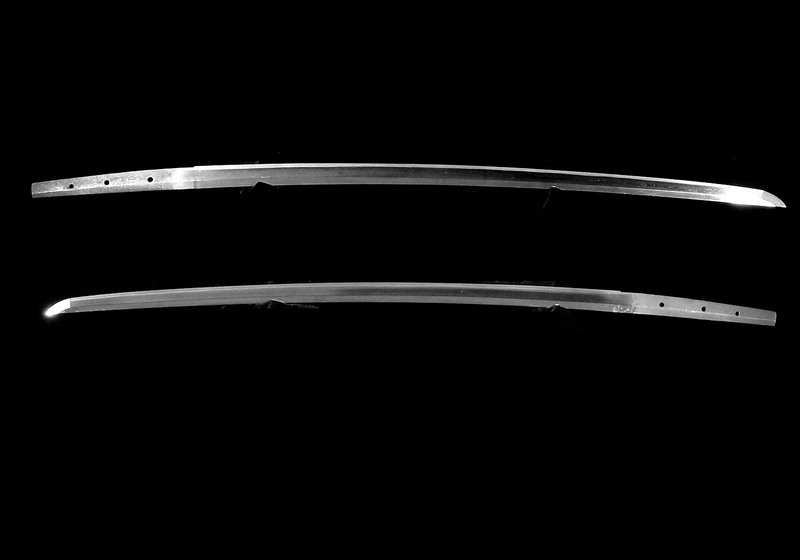 This is a true Samurai’s sword that has survived countless battles and is as beautiful today as it was then. 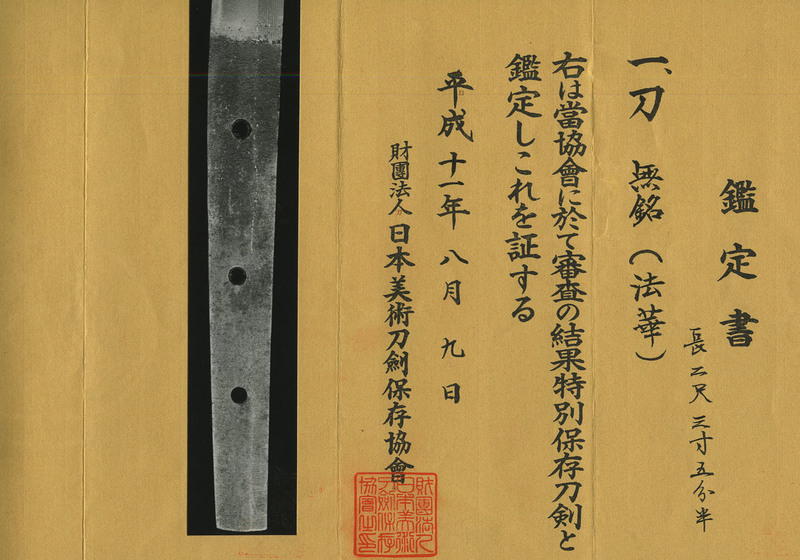 It comes with Tokubetsu Hozon papers issued by the NBTHK in Japan that attest to its quality and attribution.